Benefits of Installing Pool Lighting - New England Electrical Contracting, Inc.
Summer is coming! With the arrival of warm weather, it’s finally time to use your pool again. It’s also a great time to upgrade your pool to make it the best it can possibly be for the season. Don’t you want to enjoy your investment to its fullest? If you’re considering installing pool lighting in Trumbull, CT, there are a number of things you’ll want to think about. Pool lighting is different than lighting other spaces, and you’ll want to think about the best location, energy usage and other factors. It’s all about finding the best fit for your pool. Transform your pool: Well-designed, high-quality lighting adds a sense of drama and beauty to any pool. It creates an ambience suited for a variety of occasions, from pool parties to family get-togethers, while highlighting pool features like waterfalls, bubblers, fountains and spas. You can also customize the lighting to suit your tastes. Improve night swimming: With pool lighting, you’ll be able to easily see swimmers. It also is safer for nighttime swimming rather than trying to swim in the dark or with exterior lighting. Program light shows: Want to get creative? You can program light shows whenever you want to add a little pizzazz to your pool. With greater visibility, you’ll make the pool a safer place for children and pets. Lighting location: It’s important to think about the best place to install pool lighting before you get started. This is influenced by the pool’s shape and size. For example, with longer pools, you may want lights on opposing ends to prevent shadowing. Irregularly shaped pools will need a more tailored solution. You may also be interested in lighting for pool steps and swim-outs. Color: The pool’s color will have a significant impact on the quality of pool lighting. Pools with darker surfaces will absorb more light and require stronger bulbs. Lighter color surfaces reflect light and will not require as much power. You may want to consider various colors depending on your tastes. Energy usage: Pool lighting doesn’t have to break the bank. By installing LEDs, you can save up to 75 percent on energy bills compared to incandescent bulbs. LEDs also illuminate in more vibrant colors and are great for light shows. Isn’t it time you enjoyed your pool both day and night? What’s better than a hot summer night with a cold drink by the pool? For top-notch quality and service for pool lighting in Trumbull, CT, trust New England Electrical Contracting, Inc. We’re a locally owned and operated company offering a range of services for homeowners and business owners. We’re fully registered and licensed and always charge fair, competitive prices. 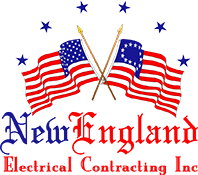 New England Electrical Contracting, Inc. provides pool lighting, marine wiring, electrical upgrades, home theater and audio installation, landscape lighting, new construction wiring, surveillance installation and much more. Contact us today to learn more about our services and arrange for a free estimate.